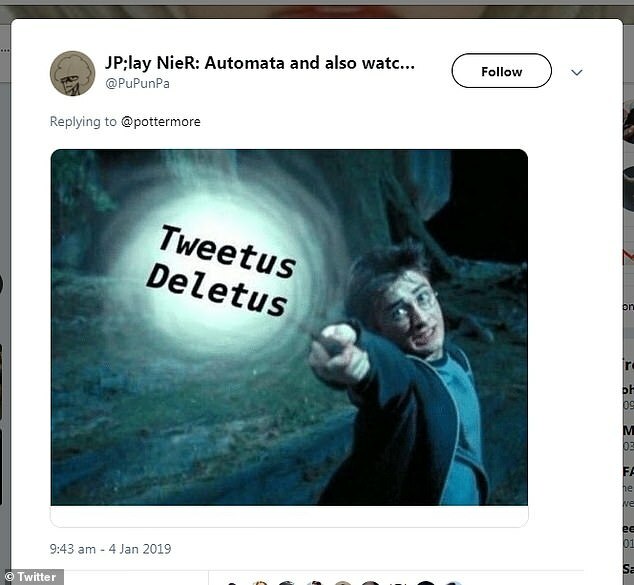 Harry Potter fans have taken to Twitter to air their disgust at the latest claim made by a fan site for the fantasy series. 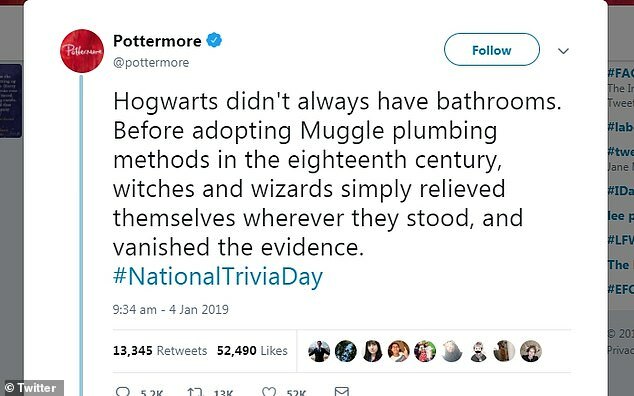 Yesterday the fan site Pottermore, known for providing nuggets of information from author J.K Rowling, revealed that before that age of Muggle plumbing methods, Hogwarts School of Witchcraft and Wizardry did not have bathrooms. The bizarre and somewhat distasteful snippet of information meant that witches and wizards would simply relieve themselves wherever they stood. The unsavoury piece of trivia has now led to more than 52,000 responses on Twitter from fans wishing the information had not been tweeted at all. The tweet, which seemed to ask more questions than it answered, led to avid readers of the popular fantasy novel poking holes at the confusing theory. Some asked if wizards would simply defecate in their pants while others asked what would happen to younger students who were not capable of performing the vanishing spell. Meagan Arthur questioned the difficulty those in their first year at the Wizarding school would have faced.